Only quality materials are used in the manufacturing of these Body Side Moldings to ensure maximum durability. To protect your Corolla side panels and paint as well as add a little style to your Toyota get these great Body Side Moldings. 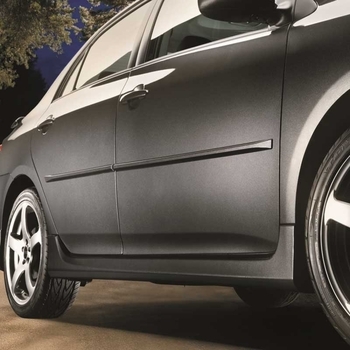 Designed for simple installation these Corolla Body Side Moldings feature a peel-n-stick backing material and will add a subtle stylish element as well as great protection to your Toyota.